It’s been a long time coming, but the video above shows a modchip circumventing the PlayStation 3 security by running a game from a hard drive. The sites Ozmodchips.com which sells the modchip, and psx-scene.com which has confirmed them as working are both unstable right now due to heavy traffic. But here’s what we know. 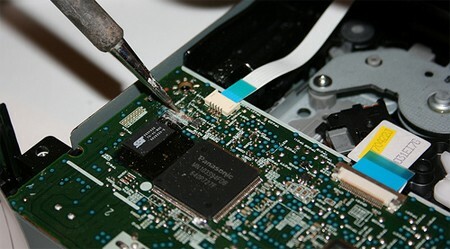 The device is called the PS Jailbreak and can be used to dump PS3 games to the hard drive of a PlayStation3 running the most current firmware (3.41). Dumped games can then be played from the hard drive by selecting them from a menu that the modchip spawns. It’ll cost you though. The current preorder price is $169.99 AUD or $147.47 US dollars with a projected delivery date of August 27th. In an unexpected development, [Neil Stanley Higgs], aka Mr. Modchips, was cleared of his previous convictions in British courts for selling modchips for the Xbox 360 as well as modded consoles. Notably, the prosecution did not argue that he infringed copyrights, but merely facilitated copyright infringement by selling modchips that circumvent the Xbox’s ETM. Since the copyright infringement argument was not made, existing law continues to hold sellers of pirated games and owners of modded consoles responsible for infringing the copyrights of game developers, as they are the ones who illegally copy the software. Pirated game sellers’ violation of the law is plain to see, but owners are still held responsible the moment they place the pirated disc into the loading tray and boot it up. The infringement in these cases occurs exactly when any part of the pirated game is loaded onto the console’s RAM, as this is considered another illegal copy. [Higgs]’s charges hinged on whether the Xbox’s piracy prevention methods were intended to completely prevent pirated games from being played or merely act as a hindrance. The court felt it was the latter, and so they reversed the charges. 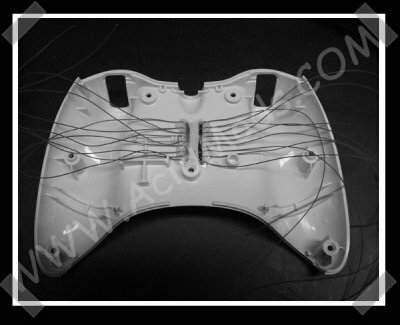 [CyberPyrot] and [l0rdnic0] released their spitfire mod on acidmods for XBox 360 controllers. It involves some fine wiring, but a relatively low parts count. The heart of the mod is a PIC16F84A, a crystal for the clock and a few passive parts. It took me a little while to find it, but the code for the pic hiding under the parts list. For a lengthy demo of the mod in action, you can check out this video.